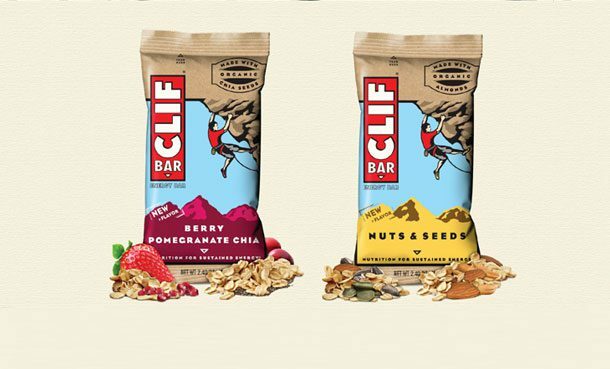 SoCalCycling.com Elite Team sponsor, CLIF® Bar, has announced the release of two delicious new flavors, Berry Pomegranate Chia and Nuts & Seeds. The Berry Pomegranate Chia CLIF® Bar is made for berry lovers and has a sweet and tangy combination of strawberries, cranberries, pomegranate and chia seeds. The Nuts & Seeds CLIF® Bar is blend of sweet & salty crunchy almonds and peanut butter with sunflower and pumpkin seeds! CLIF Bar is the original energy bar made with a nutritious blend of 70% organic ingredients that is crafted and inspired by athletes and foodies in the CLIF Kitchen and provides tasty on and off the bike nutrition for the SoCalCycling.com Elite Team. The Berry Pomegranate Chia and Nuts & Seeds CLIF® Bar will be available nationwide with a SRP of $1.39. For more information on these two new bars or other Clif Bar and Clif Shot products please visit ClifBar.com.